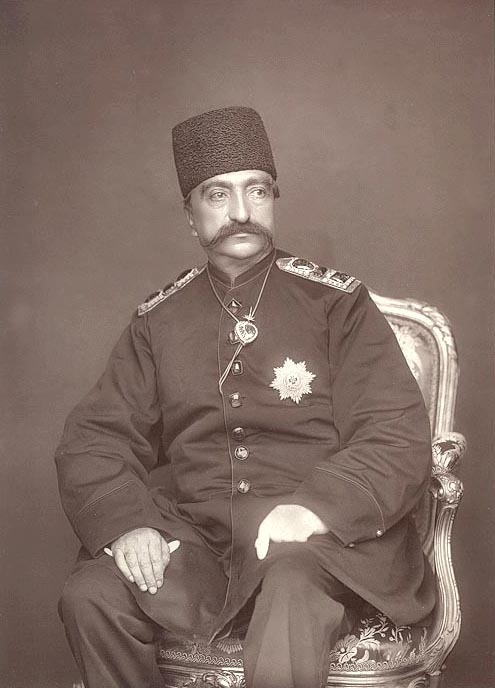 A rare and crispy woodburytype photograph of Nasserdin Shah Qajar, 1880's, by Barraud. Naaserdin Shah was born July 17, 1831, Tehran, Iran and died May 1, 1896, Tehran. He was the shah from 1848 until his assassinatgion in 1896. He began his reign as a reformer but became increasingly conservative, failing to understand the accelerating need for change or for a response to the pressures brought by contact with the Western nations.